[BP] September '48. 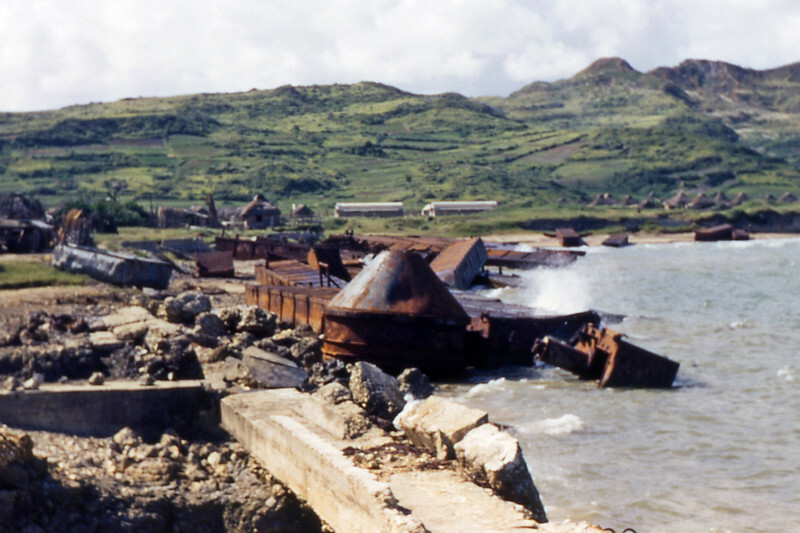 War wreckage on the beach near Yonabuna. [BP] August '48. 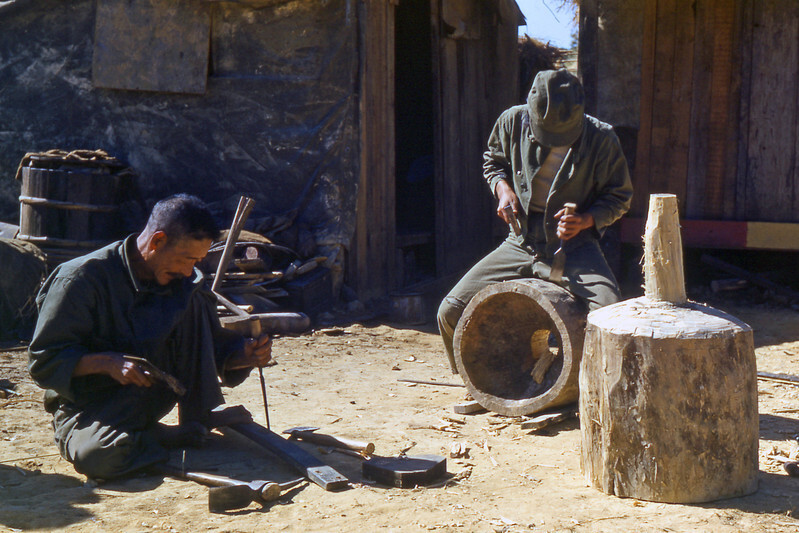 Natives making a rice de-husking machine. [BP] August '48. 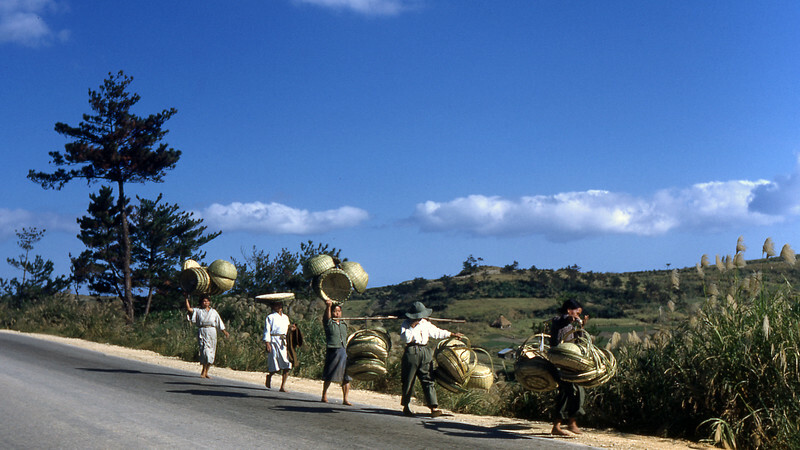 Natives carrying grass baskets to the town market. [BP] August '48. 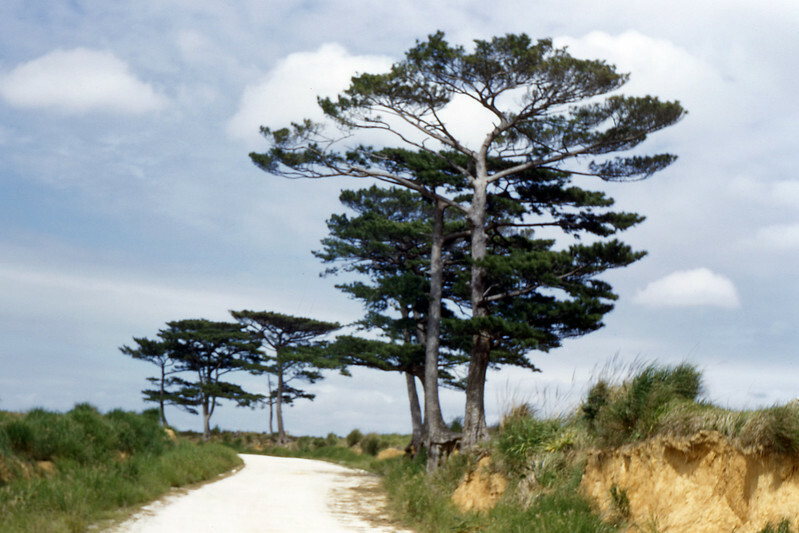 Roadside and trees. [BP] August '48. 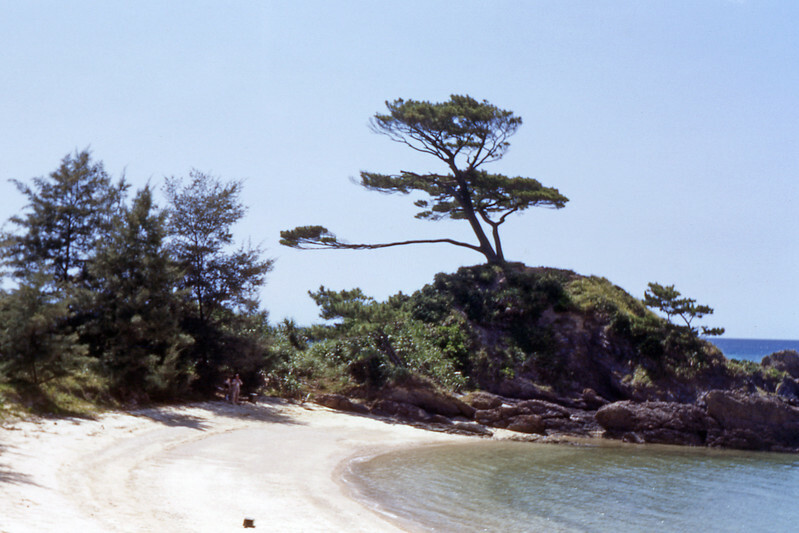 Trees on the beach. [BP] August '48. Cloud banks. 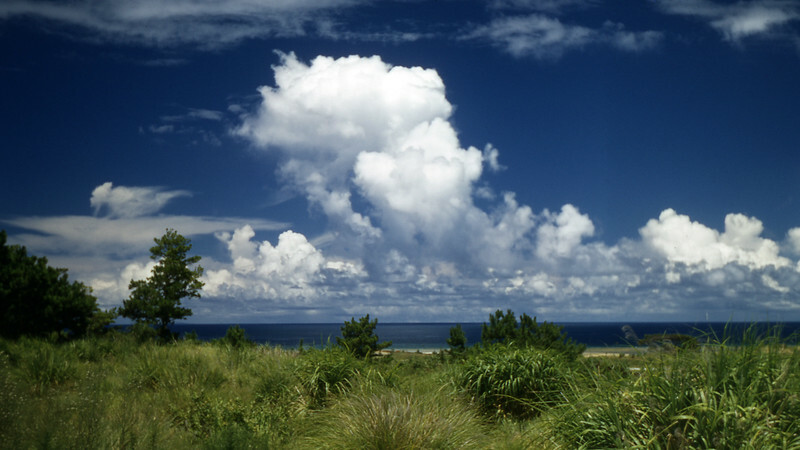 It was so humid in Okinawa that the clouds were pretty. [BP] August '48. 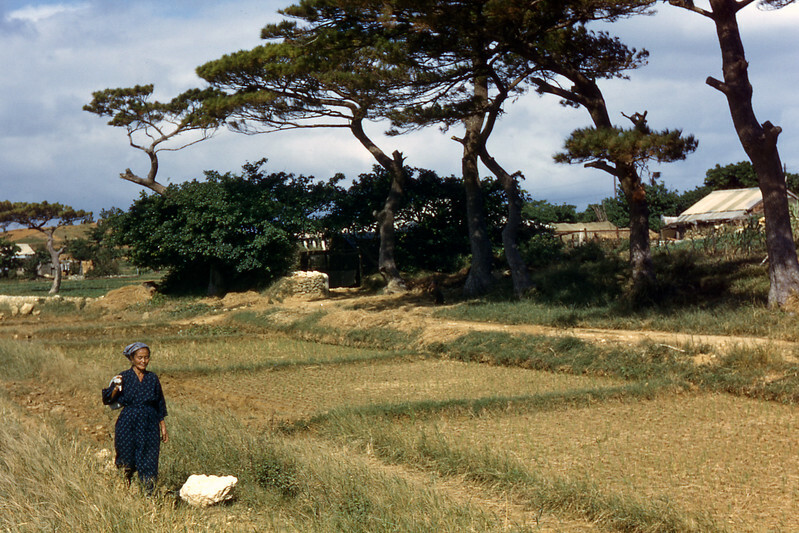 Small rice paddies by the roadside. [BP] August '48. 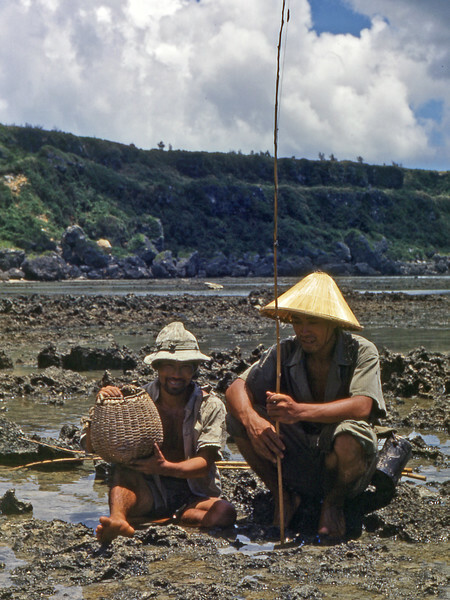 Natives after a fishing trip. [BP] August '48. 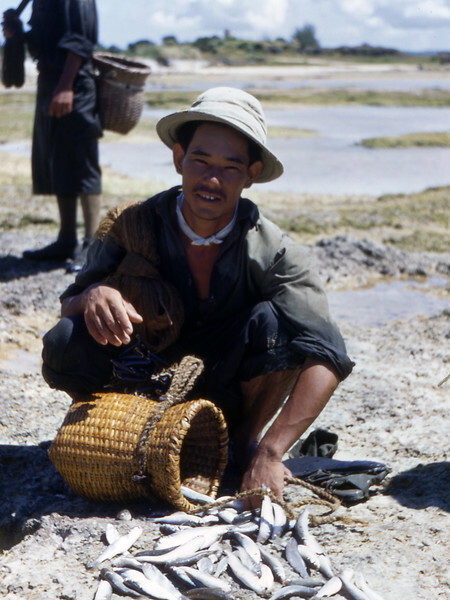 Native man with a basket of fish. [BP] August '48. 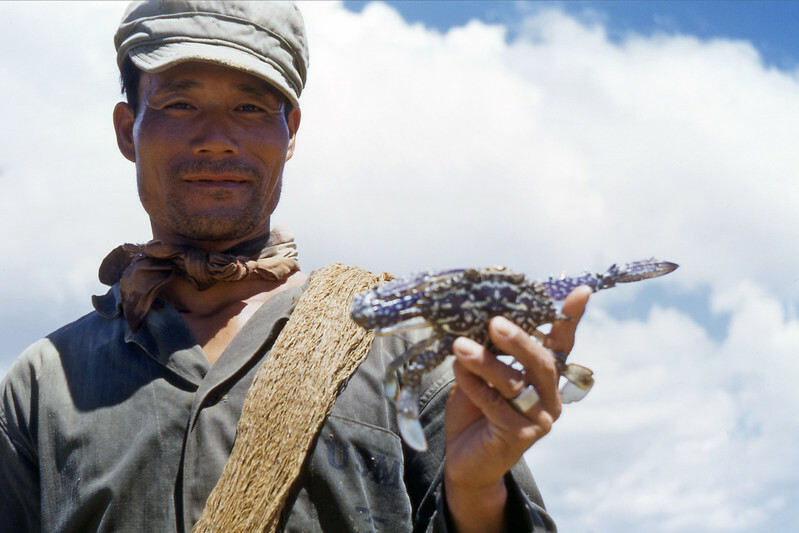 Native fisherman with his catch. [BP] August '48. 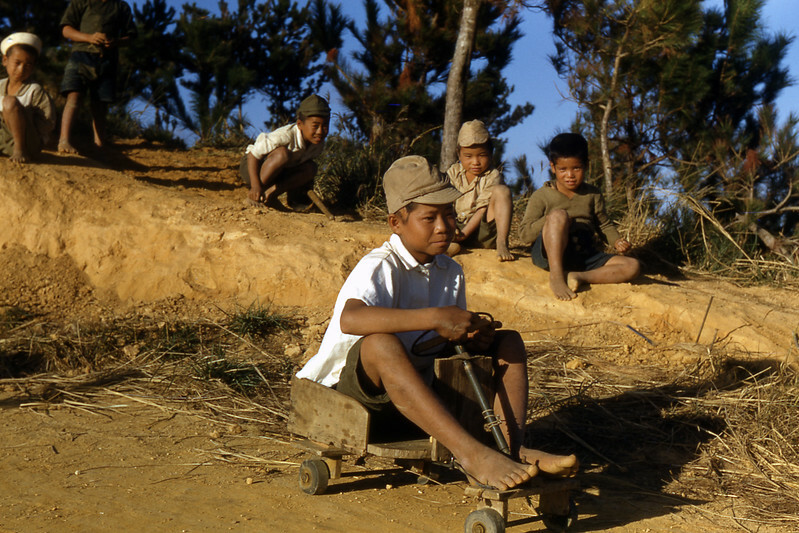 Native boys with their "jeepo". [BP] August '48. 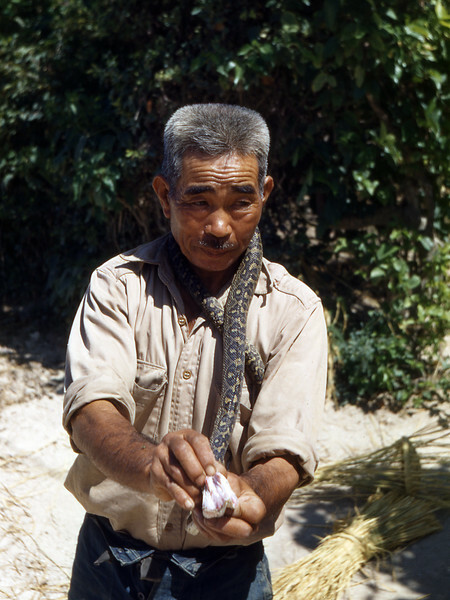 Native man with a snake (habu). [BP] August '48. 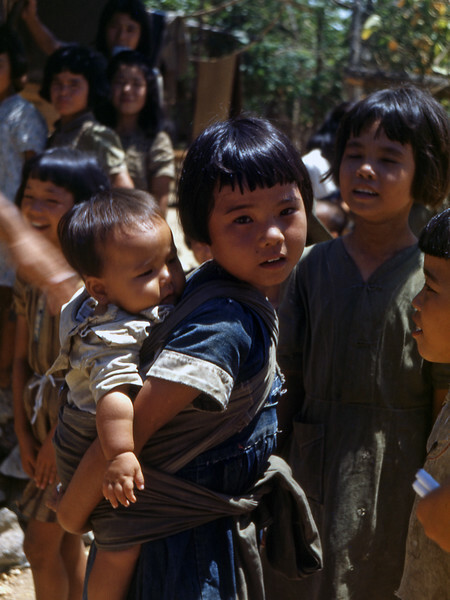 Native girl carrying baby sister. 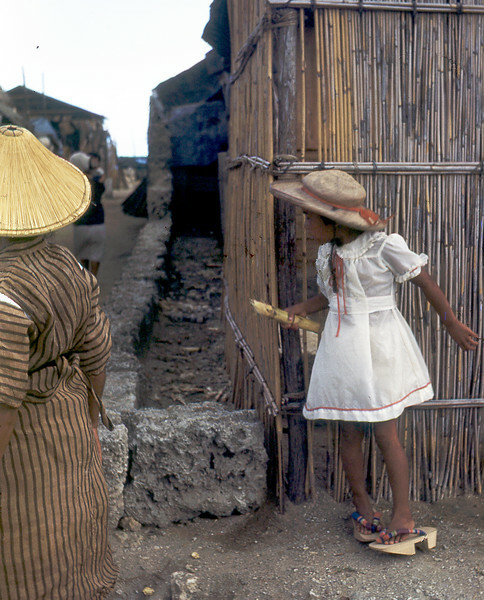 [BP] This girl's dress was homemade from US parachute material. [BP] August '48. 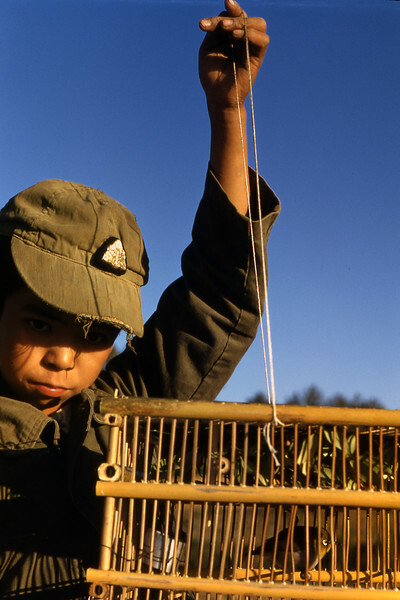 Native boy with his homemade birdcage and bird. [BP] August '48. Sgt. 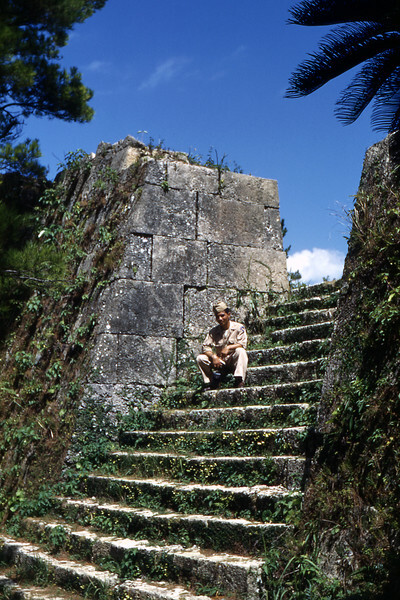 Kaminati on the steps of Nagasuki Castle, built about 10th century.